Your Adventures Fishing BC Start Here! 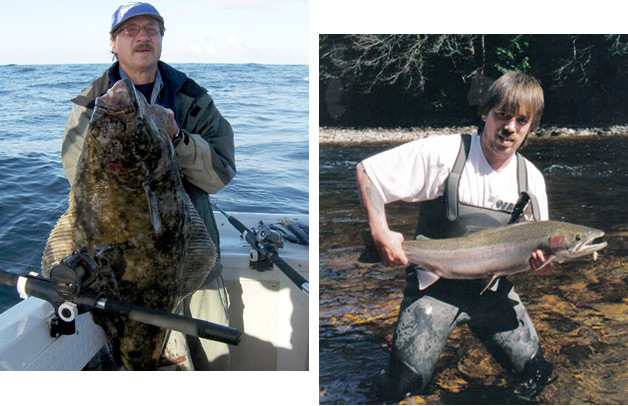 Fishmyster Sport Fishing Adventures, now in its 25th year of operation Fishing Vancouver Island. Owner and operator Ken Myers is committed to providing quality fishing charters for a wide variety of fishing thrills. 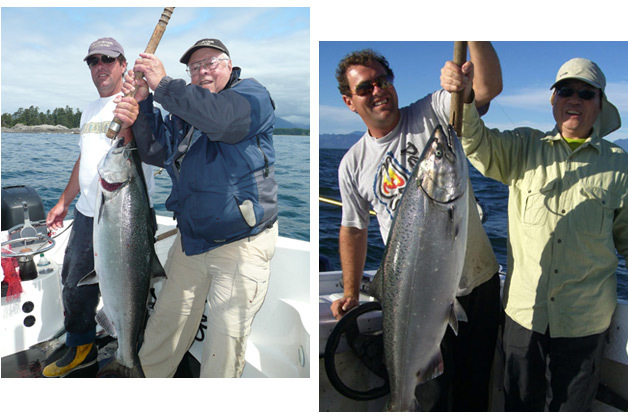 Excursions FISHING BC and the Vancouver Island area. Ucluelet, Long Beach, Tofino, Barclay Sound and the surrounding area are located in heart of the Pacific Rim National Park on Vancouver Island. This region is famous for its world class Sport Fishing and abundance of wildlife. Whales, Sea lions, Seals, Bears, Eagles and many other marine specific critters are sighted regularly during our Ucluelet fishing charters. 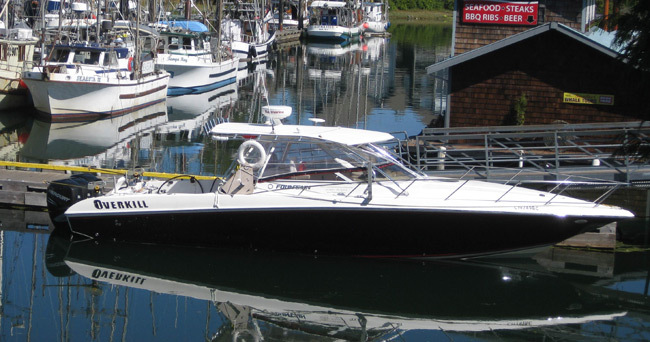 We offer full day fishing excursions fishing for Salmon and halibut departing from Ucluelet, gateway to the Pacific. LaParouse and Amphitrite Bank offer a bonanza of BC salmon fishing opportunities. You choose! Explore the sights of Barclay Sound, fish for our world famous spring (King) Salmon or try your luck bottom fishing. 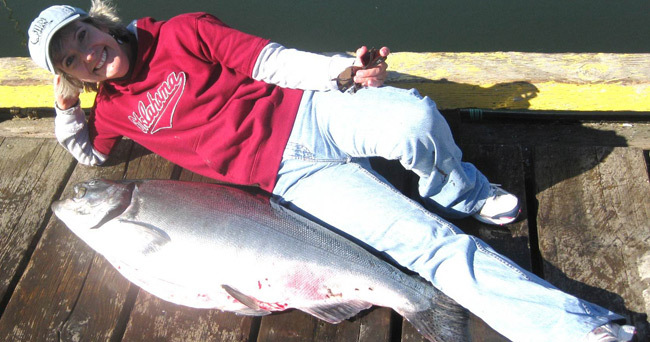 Yes, Salmon aren’t the only worthwhile sport fish in the Pacific Northwest. Halibut are also target specie while conducting our Ucluelet fishing charters. Halibut along with Lingcod, snappers and rockfish litter the local reefs. May-September is the peak Halibut fishing season with the other species doing better April-May. Prawns, Oysters, Clams, Mussels and Dungeness crab, are also on the menu during the winter fishing program. If it is in the ocean and good to eat you can bet we will be looking to catch and eat it! Try wading or boating some of the countless rivers and lake systems of this pristine area. 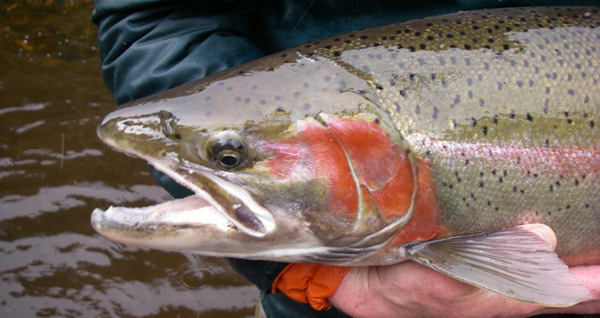 Whether you prefer fall salmon fishing, winter steelhead fishing or fly fishing the Fishmyster’s extensive local knowledge will put you in the most opportune spots. Other Local Attractions While Fishing BC! The Vancouver Island area has so much more to do after all the fishing! The Village of Ucluelet has really “step up to the plate” so to speak when it comes to accommodating tourists. Local attractions include; Wild Pacific Trail, Long Beach, Pacific Rim Park, Broken Group Islands. Kennedy River Zip Line, Long Beach Golf Course, Black Rock Hotel and SPA, gift shops, surfboard and bike rentals. Charter sightseeing flights. Hot springs. No matter if you are an outdoor enthusiast, fishing fanatic or just someone looking for a place to bring the family on a memorable holiday, the west coast of Vancouver Island has a lot to offer! 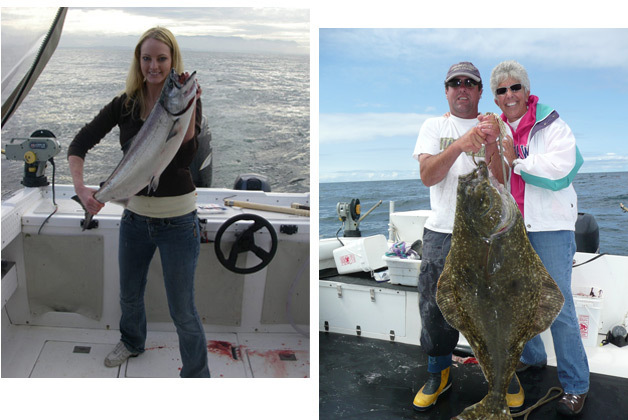 Don’t wait, book your Vancouver Island fishing package and experience the great outdoors of Beautiful British Columbia! Contact us for up-to-date information by calling 250-724-4204 or 250-720-5118 or emailing fishmyster@shaw.ca.